Serenity does exist in Las Vegas ... in a tranquil non-gaming atmosphere with warmly residential style. 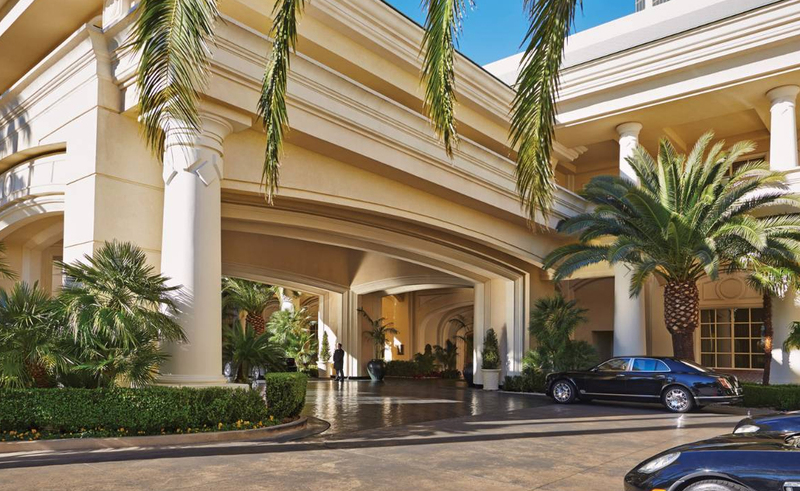 Steps from the Strip's casinos and shopping, Four Seasons offers a graciously intimate environment – a secluded oasis in which to relax, recharge and bring focus to your special event. Four Seasons provides a uniquely calm and personalized approach to Las Vegas vitality –creating an experience so appealing that frequent guests find it hard to imagine the city any other way. 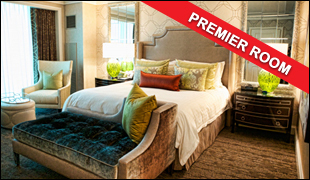 With 424 guest rooms, including 81 suites, Four Seasons is a small, intimate hotel by Las Vegas standards. 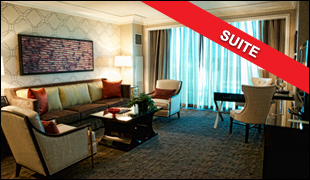 Accommodations are high above the crowds – set on the 35th to 39th floors of the Mandalay Bay tower and accessed exclusively by Four Seasons express elevators. The high position and floor-to-ceiling windows ensure unsurpassed vistas of the scenic mountains and desert, the pool and gardens, and the glittering Las Vegas Strip. Each generously proportioned room bears all the thoughtful Four Seasons touches. Sitting areas includes an executive writing desk, comfortable seating, 42-inch plasma screen television and DVD player. For communication convenience, two-line telephones and high-speed Internet access are standard. The signature marble bathroom features a deep soaking tub and separate glass-enclosed shower. Please be advised that to use the Hotel Reservation Link you will need to use the following web browsers: Firefox, Chrome, Safari 4 or 5 or Internet Explorer 8 or 9. If you are not using these versions, the web link will not work. The hotel room block is for registered CRS2019 attendees only. One night's room and tax is charged to your account upon reservation. Cancellation policy is seven (7) days prior to arrival then Hotel will retain two (2) night's room and tax deposit as a cancellation fee. IMPORTANT: Please be advised that CRS2019 has not authorized any third-party housing services or third-party housing companies to represent the event and sell hotel rooms on our behalf. Only reserve your hotel room directly with through the hotel using the information listed above. A daily Resort Fee of $20.00 plus applicable taxes will be added in the room rates set forth above. This Resort Fee includes the following benefits: In-room wired & wireless hi-speed internet for multiple devices, Wireless high-speed Internet access in Four Seasons Lobby, Pool and Verandah Restaurant, Full access to Fitness Center and wet areas, In room Coffee/Tea Maker, choice of daily newspaper delivered to your room, unlimited local and toll-free calls. Inclusions are subject to change without notice. Room block ends Friday, April 15, 2019. If reservation is cancelled within 7 days prior to arrival then Hotel will retain two (2) night's room and tax deposit as a cancellation fee. Check in time is 3 p.m. Room assignments prior to this time are subject to availability. Check out time is 12 p.m.
All guest rooms at the Four Seasons Hotel Las Vegas are non-smoking. If smoke is detected in a guest room, a cleaning fee of $250 will be charged. 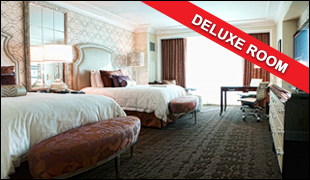 A charge of $50.00 will be added for each guest over double occupancy with a maximum of three (3) guests per room.